Santorini is one of the most romantic islands in the world. The unique caldera, sea and volcanic landscape, along with the bright Greek sunlight, create the ideal scenery for the most important day of your life. Thousands of people from all over the world come to Santorini to get married, renew or exchange vows of eternal love, or even just have pictures taken in their wedding dress and groom suit with the caldera view in the background. Below, we propose ideas for your wedding ceremony, reception and various services to make the wedding of your dreams come true. 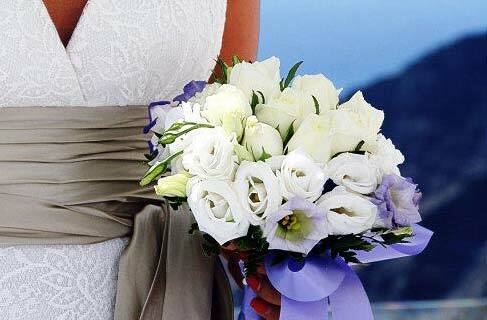 Most hotels in Santorini have special facilities for your wedding and reception to take place. Santorini has a great number of beautiful beaches for your bachelor party, wedding ceremony and wedding beach party. The most innovative and enchanting idea for the wedding of your dreams.